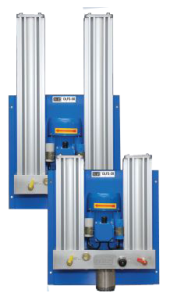 The OLFS (Off Line Filter System) Series is designed for permanent installation on the hydraulic, lubrication or transmission system of a static piece of equipment. 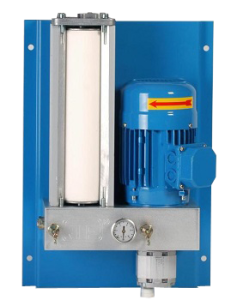 Coming with either a 29cm or 58cm housing and element, and equipped with its own motor-pump combination, the OLFS Series ensures that the system pressures and specifications remain in conformance with the values specified by the manufacturer. The motor-pump combination takes the oil from the reservoir (or engine sump), passes it through the filter media at low pressure, before returning the clean oil to back to the tank. It is specifically designed to do this 24/7, ensuring the very best protection against contamination, even when the machines is switched off. When it’s time to replace the element, the whole process if very simple and there’s no need to switch off your main machine. Simply shutdown the NTZ unit, undo four bolts at the top of the housing, remove the lid and the old element and put the new one in. Replace the lid, tighten the bolts, switch the unit on again and you’re off! The whole process take less than three minutes and your equipment never has to stop. 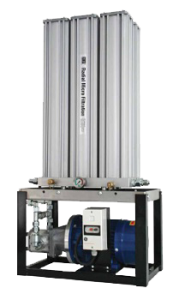 For volumes up to 1500 litres. Capacity of 2.1 litres per minute. For volumes up to 3000 litres. Capacity of 4.2 litres per minute. Capacity of 2.4 litres per minute. For volumes up to 6000 litres. Capacity of 8.4 litres per minute.